Matt Jackson's run as Jeopardy! champion has come to an end—before advertisers were able to take advantage of the increased attention the game show was getting during his nearly three-week reign. The 23-year-old Washington, D.C., paralegal's 13-game winning streak was broken on Wednesday night's episode in which he lost to Michael Baker from New York. Jackson is walking away with $411,612 in winnings, the fourth-highest total of any regular-season contestant (not counting tournament winnings), behind only Ken Jennings, Dave Madden and Julia Collins. But advertisers hoping to jump in during Jackson's streak and capitalize on the uptick in viewership—executive producer Harry Friedman said ratings typically jump when a contestant wins four or five days in a row—were out of luck. The show's ad inventory had already been sold to its regular advertisers, according to Friedman, who added that the show would never disclose the outcome of future episodes, especially a winning streak like Jackson's, to secure higher ad rates. While long Jeopardy! winning streaks tend to generate buzz, the Internet paid greater attention than usual to Jackson's, particularly because of what Uproxx called his "creepy smile" when he was introduced at the start of each show. Last week on E! 's The Soup, Joel McHale devoted a segment to Jackson's nightly routine. 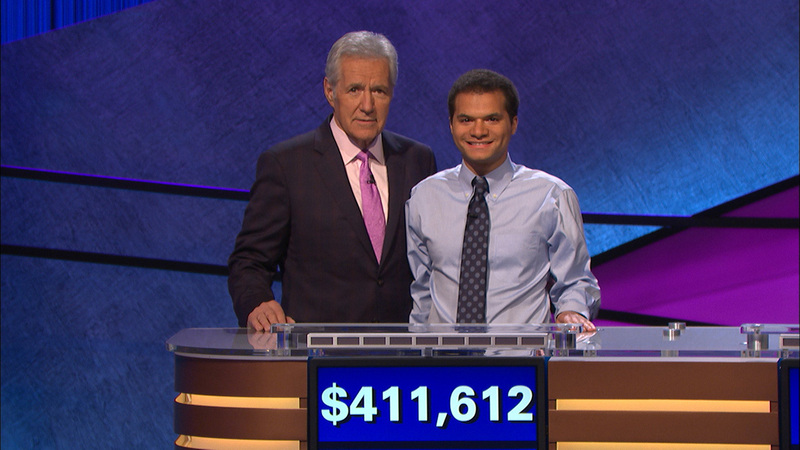 While Jackson won't return for Thursday's episode of Jeopardy!, he'll be back on the show soon. He's already booked for next month's Tournament of Champions, which begins Nov. 9 and features 15 winners from the past season. This is a clip from Jackson's 13th and final win when he surpassed the $400,000 mark.